The global implantable medical devices market stood at US$32.3 billion in 2015. Expanding at a CAGR of 4.9% during 2016-2024, the global market will reach a worth of US$49.8 billion by the end of this period. Among the various types of biomaterials used, titanium presently hold the dominating share in the implantable medical devices market. However, in the near future, it is expected to be superseded by the zirconium. The rising popularity of zirconium in various types of implants can be attributed to its better mechanical attributes and its design flexibility. Geographically, North America presently dominates the global implantable medical devices market by contributing a share of 42% in 2015, with the U.S. expected to be the cynosure of attention for manufacturers. The growth is driven by the robust demand for modern healthcare facilities by large population base. Implantable medical devices has been occupying increasingly significant position in healthcare, world over, rising on the back of constant advances in biomaterial design and functionality. The biomaterials in these devices have been extensively used in the diagnosis, prognosis, and treatment of a range of diseases, primarily musculoskeletal disorders. This is a key aspect underpinning the rapid evolution of the implantable medical devices market. The surging demand for various biomaterials for dental implants is accentuating revenues of the market. Moreover, rapid advances being made in dental cosmetics, especially supported by substantial demand for dental prosthetic surgeries, in developing and developed countries are imparting constant impetus to the global implantable medical devices market’s growth. Furthermore, the demand for implantable medical devices is increasingly bolstered by the rising role of biomaterials in cosmetic procedures in various parts of the world. This is catalyzed by the growing number of cosmetic procedures in the fashion and entertainment industry. 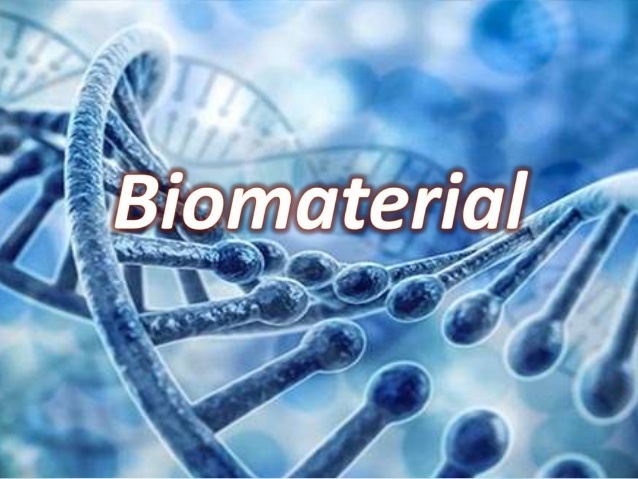 The implantable medical devices market is, however, beset by the lack of availability of biomaterials with better safety profile and significant biocompatibility, sensitivity, and longevity. For instance, the extensive use of nickel in the device is considered to up the risk of cancer in the users. Nevertheless, several manufacturers of implantable medical devices and researchers are engaged in developing better devices, dovetailed by advanced nanofabrication technologies. The search for novel biomaterial will pave way to substantial revenue streams for players in the implantable medical devices market in the coming year. Relentless focus of prominent players on technological upgrades will further support the rapid expansion of the implantable medical devices market. The competitive dynamics of the global implantable medical devices market is expected to be influenced by various strategies adopted by large as well as small players. Transparency Market Research (TMR), however, notes that on account of robust technical competence and financial clout big players have will make the entry of small and average-sized players increasingly difficult in the implantable medical devices market. Prudent manufacturers of implantable medical devices are aiming at bringing advancement or improvements in the design parameter, powering approaches, and the functionality of their devices. The focus will enable them to gain a better hold over the market. Large players are expected to commit massive funds on research and development activities to get a stronghold over the global implantable medical devices market, observes TMR. Moreover, they are engaging in geographic expansion strategies to consolidate their footprints in the coming years. Some of the key players in the global implantable medical devices market are Zimmer Biomet, Smith & Nephew plc, Johnson & Johnson, Stryker Corporation, and Abbott Laboratories. The study presented here is based on a report by Transparency Market Research (TMR) titled “Implantable Medical Devices Market (Product – Reconstructive Joint Replacement (Shoulder Implants, Ankle Implants, Elbow Implants, Hip Implants, and Knee Implants), Spinal Implants (Thoracolumbar Implants, Intervertebral Spacers, and Non-bone Implants), Dental Implants, and Cardiovascular Implants; Material – Titanium, Stainless Steel, Titanium Alloy, CoCr Alloy, and Zirconium. End User – Hospitals (More than 500 Beds, 200 – 499 Beds, and Less than 200 Beds), Ambulatory Surgery Centers (ASCs), and Clinics) – Global Industry Analysis, Size, Share, Growth, Trends, and Forecast 2016-2024″. SCHLIEREN (ZURICH), Switzerland, Dec. 17, 2018 (GLOBE NEWSWIRE) — Kuros Biosciences (SIX: KURN) has completed a transformational year, having realized first sales of its MagnetOs bone graft substitute in the U.S. and Europe and raised capital to support the roll-out of MagnetOs, and fund the Phase II clinical trial of fibrin-PTH (KUR-113) in spinal fusion. SALT LAKE CITY, Dec. 11, 2018 /PRNewswire/ — DiscGenics, Inc., a clinical stage biotechnology company focused on developing regenerative cell-based therapies that alleviate pain and restore function in patients with degenerative diseases of the spine, today announced the Japanese Pharmaceuticals and Medical Devices Agency (PMDA) has approved a Clinical Trial Notification (CTN) application for IDCT, an allogeneic injectable disc cell therapy for the treatment of degenerative disc disease (DDD). IDCT is available off-the-shelf and offers a non-surgical therapeutic option for patients suffering from DDD. The CTN approval allows DiscGenics to advance IDCT into clinical studies in Japan. DiscGenics intends to initiate a prospective, double-blinded, sham-controlled, multicenter clinical study to evaluate the safety and preliminary efficacy of IDCT in Japanese patients with painful, single-level lumbar DDD. The 38-patient trial is expected to begin enrolling in Japan in the first half of 2019. Discogenic Cells are highly specialized progenitor cells that have been engineered from donated adult human intervertebral disc tissue, and are the therapeutic engine behind IDCT. A research article summarizing results from Dr. Sakai’s study of Discogenic Cells in the canine disc degeneration model was recently published in the Journal of Orthopaedic Research Spine. DDD is a painful, chronic and progressive disease that is characterized by inflammation and breakdown of extracellular matrix within the intervertebral disc. The condition is estimated to affect more than one million people, including 200,000 patients needing surgical intervention every year in Japan. Current treatment options for DDD are limited to physical rehabilitation programs and pain management, including opioids, in the earlier stages. In the more advanced stages, oftentimes a patient’s only option is surgical intervention to remove the painful disc(s), fuse two or more vertebral bones together and/or replace bone or tissue altogether. However, back surgeries often have limited success and may result in subsequent adjacent level degeneration. DiscGenics is leveraging the accelerated regenerative medicine pathway created by the Japanese Pharmaceuticals and Medical Devices Act (a revision of the Pharmaceutical Affairs Act) to pursue regulatory approval of IDCT in Japan, and has been working closely with the PMDA through a series of consultations to satisfy all requirements for trial design and materials safety. DiscGenics is also conducting an ongoing Phase I/II prospective, randomized double-blinded, vehicle- and placebo-controlled, multicenter clinical study of IDCT in the U.S. among subjects with single-level, symptomatic lumbar DDD. Through this study, IDCT is being evaluated under an investigational new drug (IND) allowance by the U.S. Food and Drug Administration (FDA) and will be regulated as a drug-biologic through a therapeutics biologics application (BLA). DiscGenics is a privately held, clinical stage biotechnology company focused on developing regenerative cell-based therapies that alleviate pain and restore function in patients with degenerative diseases of the spine. As the only company in the world to develop an allogeneic cell therapy derived from intervertebral disc cells to treat diseases of the disc, DiscGenics believes it has a unique opportunity to harness the restorative potential of the human body to heal millions of patients suffering from the debilitating effects of back pain. DiscGenics’ first product candidate, an injectable disc cell therapy, or IDCT, is a homologous, allogeneic, injectable cell therapy that utilizes proprietary Discogenic Cells to offer a non-surgical, potentially regenerative solution for the treatment of patients with mild to moderate degenerative disc disease. 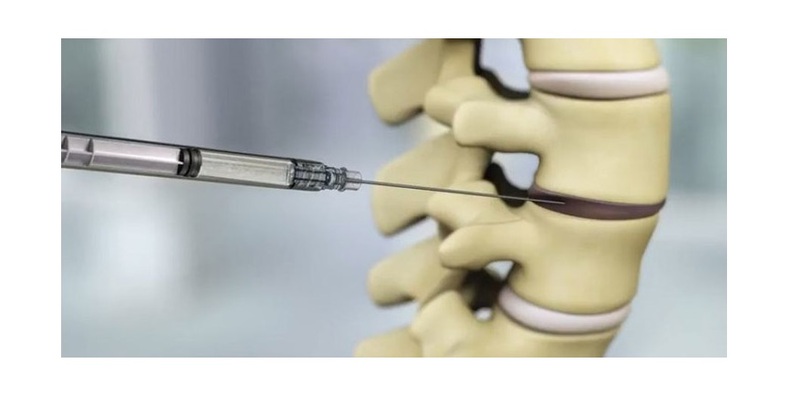 Dec 05, 2018 (Heraldkeeper via COMTEX) — New York, December 05, 2018: The Global Spine Biologics Market is expected to exceed more than US$ 2.5 Billion by 2022, at a CAGR of 4.4% in the given forecast period. The scope of the report includes a detailed study of global and regional markets for Global Spine Biologics Market with the reasons given for variations in the growth of the industry in certain regions. The post Spine Biologics Market Share will Increase US$ 2.5 Billion by 2022 appeared first on Herald Keeper. The MarketWatch News Department was not involved in the creation of the content. 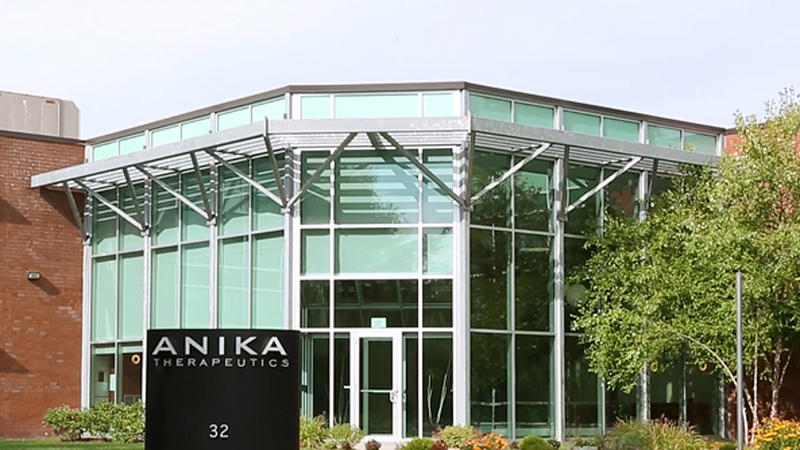 BEDFORD, Mass.–(BUSINESS WIRE)–Anika Therapeutics, Inc. (NASDAQ: ANIK), a global, integrated orthopedic and regenerative medicines company specializing in therapeutics based on its proprietary hyaluronic acid (“HA”) technology, today announced that it has resumed global distribution of its solid HA-based treatments, including HYALOFAST, a biodegradable, HA-based cartilage repair scaffold, after a voluntary, non-safety related recall in the second quarter of 2018. 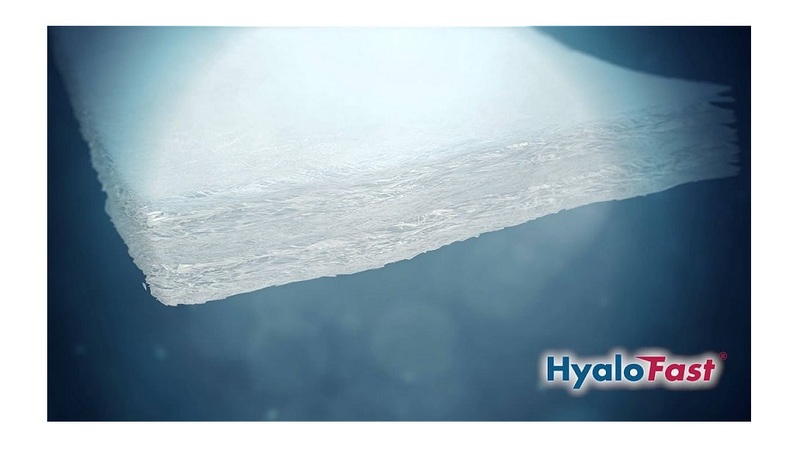 Following recent regulatory approvals in Thailand, the United Arab Emirates and Colombia, HYALOFAST has a commercial footprint in approximately 15 countries. 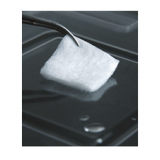 HYALOFAST is a non-woven, single-step, off-the-shelf, biodegradable HA-based scaffold for hyaline-like cartilage regeneration to treat cartilage injuries and defects. To date, the Company has seen HYALOFAST used to treat more than 15,000 patients internationally and has compiled strong eight-year patient follow-up data. HYALOFAST is pending regulatory submission in the United States and its FastTRACK Phase III trial is currently enrolling patients across the U.S. and Europe. MINNEAPOLIS–(BUSINESS WIRE)–Regentis Biomaterials today announced that Twin Cities-based TRIA Orthopedics is the first in Minnesota to perform a procedure using the GelrinC™ implant to treat damaged articular cartilage causing knee pain. GelrinC (pronounced “gel-rin-cee”) is an investigational device being evaluated as a treatment to help the body regrow cartilage in the knee. TRIA is the only site in Minnesota – and just one of 17 sites nationwide – enrolling patients with knee pain caused by damaged knee cartilage in the SAGE clinical trial. Articular cartilage is the smooth, white tissue covering the ends of bones where they come together to form joints. Damage to the cartilage layer can be extremely painful for patients and is generally associated with sudden trauma. Surgical intervention is often required because of the limited capacity for cartilage to repair itself. The current standard of care is a procedure called microfracture, which involves making tiny holes in the bone underneath the damaged cartilage to stimulate the growth of new cartilage. However, the cartilage is more like scar tissue than the original hyaline cartilage; as a result, microfracture often provides only short-term relief and may require repeat surgeries. People 18-50 years old with pain in one knee caused by damaged articular cartilage can inquire about the study by visiting www.MyKneeStudy.com or by calling (833) 430-8686. In the U.S., GelrinC™ from Regentis Biomaterials is an investigational device for patients with articular cartilage damage in their knee. GelrinC’s unique mode of action allows it to be implanted as a liquid so that it completely fills the cartilage defect in the knee, and then be cured into a gel that enables the body’s own stem cells to settle on its surface. Six to 12 months after surgery, the GelrinC is gradually resorbed by the body and replaced by new cartilage tissue. Preliminary clinical trials in Europe have indicated that this regenerated tissue provides excellent improvement in pain and function. To learn more about GelrinC, please visit www.GelrinC.com. 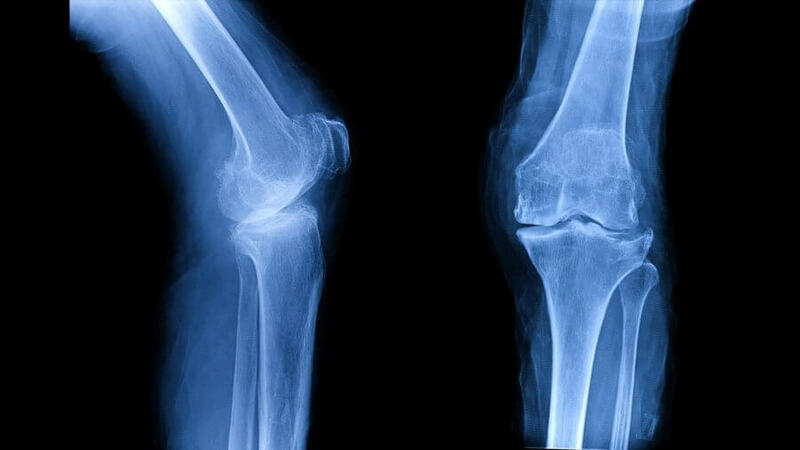 The SAGE study is a Food and Drug Administration (FDA) Investigational Device Exemption (IDE) clinical study comparing GelrinC to microfracture, the current standard of care treatment for damaged knee cartilage. The multi-center Phase III pivotal study will enroll 120 patients. All patients who meet study requirements and agree to enter the trial are provided GelrinC as treatment. COLUMBIA, Md., Nov. 26, 2018 (GLOBE NEWSWIRE) — Osiris Therapeutics, Inc. (NASDAQ: OSIR), a regenerative medicine company focused on developing and marketing products for wound care, orthopedics, and sports medicine, is pleased to announce that its Board of Directors appointed Samson Tom, PhD, MBA to serve as President and Chief Executive Officer, effective November 26, 2018. Dr. Tom was at Osiris from 2003 to 2011, where he held several leadership positions spanning multiple functional areas including Quality, Operations, Clinical Development, and Product Development. Subsequently, he served as Group Director, Biosurgery Research & Development at Ethicon, Inc. (a Johnson & Johnson company). Prior to rejoining Osiris, he served as Vice President, Research & Development for Surgical Orthobiologics at Bioventus, LLC. Dr. Tom brings a strong combination of scientific and commercial experience in the regenerative medicine space. He earned a BA in Biology and Chemistry from Cornell University, a MS and PhD in Biochemistry from the University of Rochester School of Medicine and Dentistry, and a MBA in General Management from the Johns Hopkins University Carey Business School. Jason Keefer, who previously served as Interim President and Chief Executive Officer, will transition to lead the commercial functions of the organization and serve on the management team as Chief Commercial Officer.